We have struggled with our decision to offer Beck Brow Bond 007 for sale. 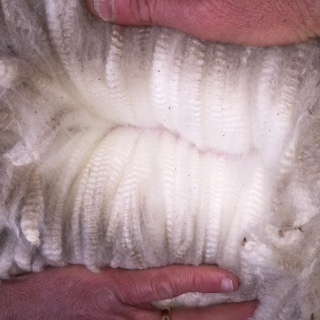 He has one of the densest and most well organised fleeces we have seen in an adult male. 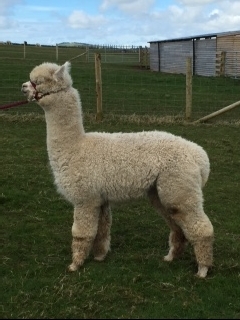 However we own his sire and have a number of new stud males with new genetics, so work on our farm would be limited. We have no hesitation in highly recommending this macho. in matchstick size bundles, is exceptional. He also has a long, heavy cutting fleece with great coverage. (Bond has a small fawn spot on his rump). EP Cambridge Peruvian Ceaser amomgst the stars. Enferplex tested before leaving the farm. Based on a farm with high levels of bio-security in the very north of England. 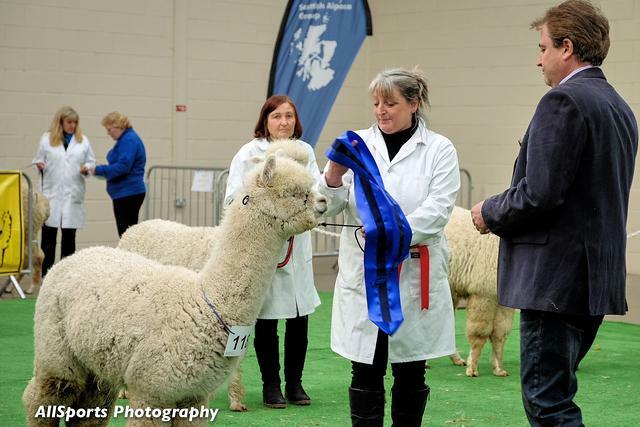 Eastern Regional Fleece Show - 2nd. Judge's Choice.